ZAPTEST - QAs - Stop Pleasing Devs, Represent Business! Quality Assurance has to control quality of software applications developed by Application Developers (Devs)! QA testing should be automated! QA testing should be performed Just-in-Time! Execs are outsourcing testing leadership to Devs! QA testing is performed JIT! QAs are leading Quality Assurance process! 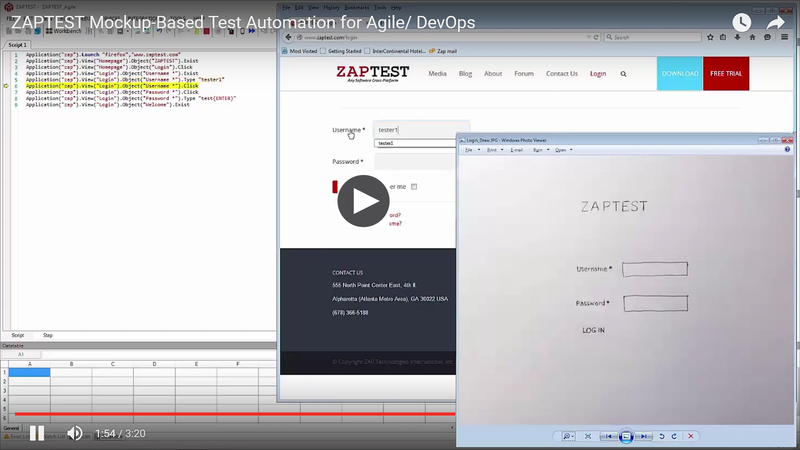 Please watch this short video to learn how to use ZAPTEST in order to achieve just-in-time testing and to represent Business! And most importantly, with ZAPTEST QAs can do their true job independently assuring quality of software, and represent end-user requirements and the Business! Thank you for your time reading this article! Please request a ZAPTEST Free Trial and get started today!